Creatine has been one of the biggest players on the fitness scene for some time now, helping athletes perform better and bodybuilders build lean mass faster. More casual gym-goers are also beginning to dip into creatine to enhance their muscle growth and fat loss due to its widespread availability. Creatine is somewhat unique in the world of supplements, in that its benefits and risks have been well-established through numerous clinical trials. Creatine is generally considered safe and effective for most people in good health. Creatine is equally useful for both males and females. Read on to discover the basics of creatine supplementation, including what creatine is made of, how it works, the benefits of creatine supplementation, creatine dosing guidelines, and more. Creatine is a nitrogenous acid present in most living tissue. Creatine is considered non-essential, which means the body synthesizes it from other components, namely the amino acids arginine, methionine, and glycine. About half of your body’s creatine is synthesized in this way. The other half of your creatine supply is obtained through dietary sources, especially lean red meat, fish, and wild game. Put simply, the role of creatine is to help with the regeneration of ATP, which is used as the energy currency in all body cells. ATP is especially important in skeletal muscle tissue. Skeletal muscle is the muscle type you’d normally think of in the context of fitness, that is, the muscles that move your body around. Pecs, biceps, quads, and lats, for example. During high-intensity, short-duration exertion (think weight lifting, sprinting, etc. 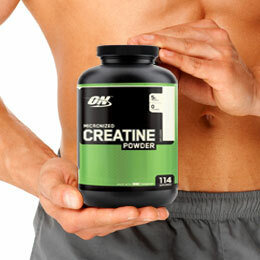 ), creatine helps regenerate used energy stores so that you can produce more strength and power more quickly. There is good evidence to show that taking in extra creatine through supplements gives your body an energetic edge when compared to bodies functioning on synthesized and dietary creatine alone. A well-established effect of creatine supplementation is a rapid increase in muscle size. This quick buff boost comes from the muscles taking on more water, so they appear larger without the muscle fibers themselves changing appreciably. However, over time, creatine supplementation DOES help transform the muscle fibers themselves, helping them truly become larger, stronger, and more powerful. This real muscle boost comes from the way creatine affects the body’s energy production, allowing the athlete to undertake training sessions that are both more strenuous and of longer duration. Studies show that creatine supplementation gives the athlete an edge in terms of strength and power. These benefits result from the way creatine affects the body’s energy system. Creatine most clearly assists in high-intensity anaerobic activities, such as lifting heavy weights. Studies do not suggest increased endurance during aerobic activities, such as distance running, resulting from creatine supplementation. Athletes of different types will benefit more or less from creatine supplementation depending on their performance goals. This claim remains sketchy when looking at the research. Studies have been hard-pressed to show any direct effect on muscle synthesis from creatine alone. Creatine itself likely does not seem to directly stimulate muscle protein synthesis, but increased muscle strength and power add up to higher quality training sessions, which do indeed stimulate muscle protein synthesis. 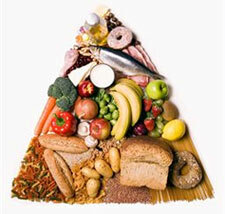 So in a way, creatine may be said to indirectly contribute increased muscle protein synthesis. However, as the research in this particular area remains skimpy, it remains possible that further studies could reveal a more direct relationship between creatine supplementation and muscle protein synthesis. Who Can Benefit From Creatine Supplementation? Athletes, bodybuilders, and anyone else in good health working to increase their lean muscle mass can benefit from creatine supplementation. Both women and men can equally experience its benefits. The available evidence indicates that most healthy adults will do just fine with normal levels of creatine supplementation, experiencing few if any side effects. Guidelines for children and teens have not been set, so creatine supplementation is recommended for adults only. It’s important to note that creatine use is NOT recommended for anyone with kidney or liver issues. Kidney or liver damage can also occur in otherwise healthy people if abnormally high doses are taken. Avoid creatine supplementation if you have kidney or liver issues. If you’re in doubt, consult your doctor before taking any supplement, creatine or otherwise. Are There Any Risks or Side Effects Associated With Creatine? As mentioned above, creatine supplementation is contraindicated for anyone with kidney or liver issues, and kidney or liver damage may result from higher-than-recommended dosages. Since kidney and liver issues may have no symptoms in their early stages, it is best practice to get checked out by your doctor before starting in on any course of supplementation. Adequate fluid intake is absolutely vital when supplementing with creatine. This helps flush out waste products from the breakdown of creatine and keep your fluid balance ideal, as creatine will draw water into cells and out of the circulatory system. Seek out reputable brands when buying creatine, as contaminated supplements have been reported. Pharmaceutical grade products are the safest. Other possible side effects from creatine supplementation may include weight gain (water and muscle mass, NOT fat), stomach upset, diarrhea or constipation, dizziness, high blood pressure, and muscle issues such as strains and cramping. Many forms of creatine are available, including creatine ethyl ester, creatine hydrochloride, creatine AKG and the old standby, creatine monohydrate. So which is the best? Most reputable clinical studies have been performed using creatine monohydrate. This applies to studies of both safety as well as performance enhancement. In this case, it’s probably a good idea to stick with what has been proven time and again and supplement with pure creatine monohydrate. As mentioned above, just be sure to take your creatine monohydrate with plenty of fluid intake to avoid any GI upset. A commonly noted side effect of creatine supplementation is mild constipation. If you experience this side effect, drink more water, eat more fiber, and consider taking a magnesium supplement. Magnesium helps keep the bowels moving, and most of our diets are deficient in magnesium anyway, so it can only be of service. Creatine dosing schedules vary depending on who you talk to. Some swear by taking creatine an hour before your workout, some say after a workout to aid recovery, some say during the workout, and some say it doesn’t matter at all! Anecdotal evidence aside, scientific research has yet to uncover the optimal dosing time for creatine. Until we know more, take it at any point throughout the day. Your muscles cells will store it until the demands of intense exercise call upon it. There is a bit of evidence that taking creatine with a high level (50-100g) of glucose may help shuttle it into your cells more efficiently. You might be tempted to down your creatine with a glass of fruit juice, but this is not effective as the sugar in fruit juice is fructose, not glucose. If you want to attempt to up your cells’ creatine uptake, consider taking it after a meal high in carbohydrates when your blood glucose levels are elevated. It appears that caffeine may lessen the effects of creatine, so if you’re a caffeine consumer, consider taking your creatine dose at a different time of day than your caffeine source. Fortunately, recommended amounts of creatine monohydrate are more clear-cut than the timing. The most effective dose with the least likelihood of side effects is 2-5 grams of creatine monohydrate once a day. Some athletes and bodybuilders recommend creatine “loading”, which means when you first start a course of creatine supplementation, you take 5 grams four times daily for a total of twenty grams per day for a total of 7 days. Then, back off to the normal dose of 3-5g once daily going forward. There is limited scientific evidence that creatine loading is superior to normal once-daily dosages, but the loading strategy is considered safe as long as excessive doses are avoided, so give it a try and see if it works for you. If you’re taking an alternate form of creatine (other than pure monohydrate), follow the dosing details given by the label, as doses may vary from product to product depending on the form of creatine and the formula of the product. Also note that other combination supplements such as pre-workouts and post-workouts often contain creatine, so factor those amounts into your daily dose to avoid excessive doses! Creatine has begun to make a name for itself outside the exercise world. Preliminary studies have found that creatine supplementation may provide some health benefits to people with a several different diseases and disorders, including Parkinson’s disease, multiple sclerosis, heart disease, and chronic obstructive pulmonary disorder. For example, a study found that when supplementing with creatine, people with heart disease were able to sustain exercise for longer before becoming fatigued, as well as increase their muscle mass. Creatine has been shown to lower levels of homocysteine, which is involved in both heart attack and stroke. More research is needed before definitive statements can be laid out, but the prospect remains hopeful. Remember that if you have health issues, it’s essential that you get checked out by your doctor before starting any supplements! Creatine may interact with prescription drugs, such as cimetidine (Tagamet), probenecid, diuretics (water pills), and NSAIDS (non-steroidal anti-inflammatory drugs including naproxen and ibuprofen). Even if you believe yourself to be healthy, best practice is to check with your doctor before supplement use. Creatine is generally considered safe and has been shown to be highly effective when taken as recommended by people without preexisting kidney or liver issues. If you’re looking for a scientifically backed way to gain muscle mass and boost your athleticism without compromising your health, creatine should absolutely be on your supplement short list. Take 2 to 5 grams daily either pre-or post-workout with lots of water during heavy training phases. Any Cool Creatine Facts We Missed? What Has Been Your Experience Taking Creatine? Let us know in the comments below!